Kershaw's Huddle is the perfect everyday carry, always ready for a myriad of common cutting tasks. Easy opening with Speedsafe® technology and with Linerlock safety. Kershaw &apos;s Huddle is the perfect everyday carry, always ready for a myriad of common cutting tasks. Easy opening with Speedsafe® technology and with Linerlock safety. Assists you to open any SpeedSafe® knife quickly and easily with a manual push on the thumbstud or pull back on the flipper, built into many Kershaw best sellers. A strip of stainless steel is riveted inside the knife&apos;s handle, most commonly when the handle is a lightweight material. 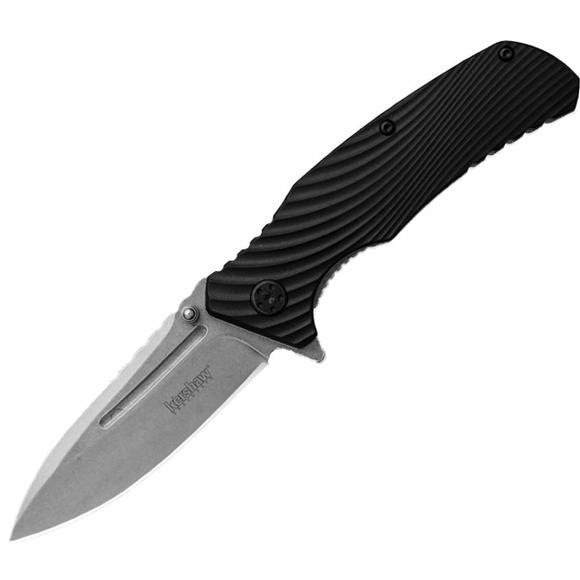 This enables Kershaw to create a slimmer, lighter knife, while still providing the strength and security of a locking liner.